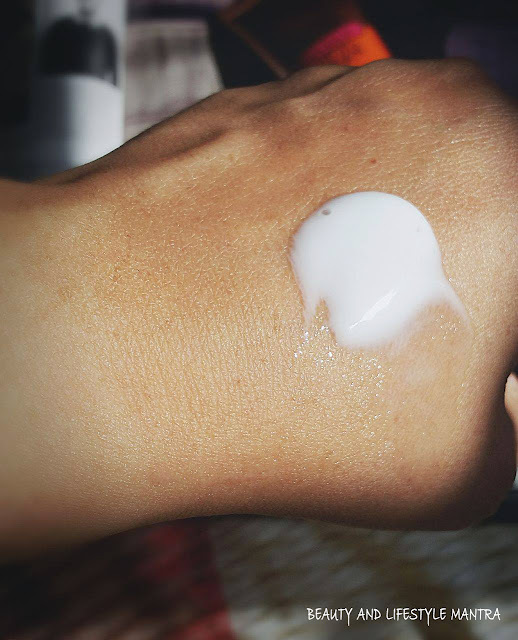 Today, I'm going to write a review about one of my current favorite moisturizing product from Inveda which I have got in my May-June edition of the Violet Box. Keep your skin supple and well-hydrated this season with this ‘Papaya & Hibiscus Moisturiser’ from Inveda. Enriched with papaya & hibiscus extracts, it will not only hydrate your skin but will also make it look fresh all day long. This moisturizer effectively keeps skin hydrated & moisturized & releases the delightful aroma. Aqua (Water), Oryzafativa (Rice Bran Oil), Stearic Acid, Cetostearyl Alcohol, Glyceryl Mono Stearate, Glyceryl Stearate & PEG 100 Stearate, Glycerin, Propylene Glycol, Caprylic Capric Tri Glyceride, Isopropyl Myristate, Sodium PCA, Fragrance, Aloe Berbadensis Leaf Juice, Rosa Sinensis Flower (Hibiscus) Extract, Carica Papaya Seed Extract, Triethanolamine, Prunusamygdalus Dulics (Sweet Almond) Oil, Benzyl Alcohol, Dimethicone, Cyclopentasiloxane, Imidazolidinyl Urea, Tritium Vulgare (Wheat Germ) Oil, Tocopherol Acetate, Sodium Benzoate, Potassium Sorbate, Allantion, Disodium EDTA, Tatrabutyl Ethylidinebisphenol, Acrylates/C-10-30 Alkyl Acrylate Cross Polymer. Lightly apply it on the moist skin, to help seal in the moisture. 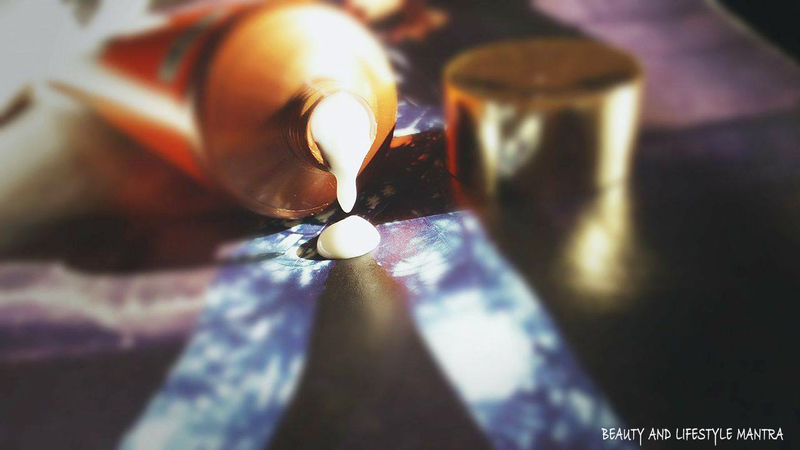 When applied, Moisturizer spreads easily & smoothes flaking skin. It seals in moisture, leaving skin unbelievably silky. The packaging of the product is very simple. 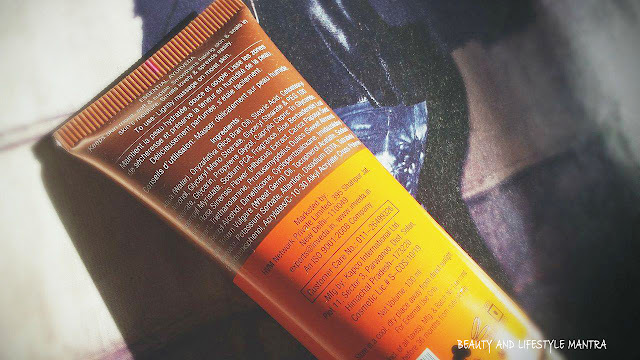 The cream comes in a standard size tube with a screw cap. I really like this type of packaging. This keeps the cream bacteria free as no air can get trapped inside the tube. But the consistency of this moisturizer is a bit light and watery than another regular face moisturizer. So tube packaging is not perfect for its consistency. It would be better if the product was available in pump dispenser packaging. So we can control over the product while it dispenses in the just single pump. Inveda Papaya and Hibiscus Moisturizer is a face moisturizer designed for all skin types. 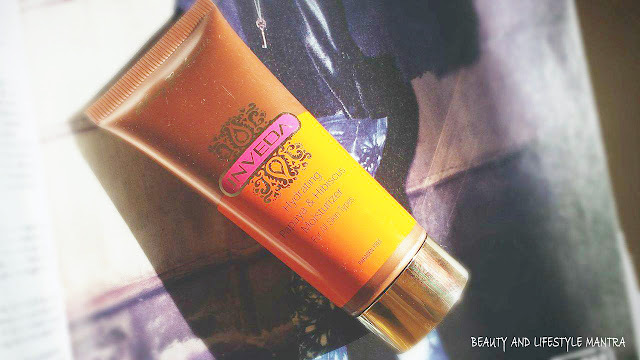 This moisturizer goes very light and smooth on skin. This moisturizer is rich in ingredients that keep skin naturally moisturized and healthy. It contains papaya, hibiscus extracts, Sweet Almond, Rice Bran Oil, and Wheat Germ Oil etc, which helps in maintaining the smoothness and natural moisturizer of skin. These all natural ingredients also moisturize and soften the skin. After cleaning my face I apply a small amount of moisturizer to semi-dry face and it absorbs so quickly. It doesn’t leave a greasy feel to the skin. I can feel the moisture being maintained throughout the day afterward. It provides almost 5 to 6-hour hydration which I really love. I apply twice a day once in the morning, once at evening, my face rarely feels dry! It smells great as well. I love how it absorbs into my skin and doesn't leave any sticky feeling. Overall, I am so impressed with this Inveda Papaya and Hibiscus Moisturizer. I absolutely love this lotion. It smells amazing. And it is also very natural. No harsh chemical sulfates, parabens, petrolatum, dyes or phthalates. It leaves the skin feeling smooth hydrated and refreshed. I'm also using inveda de tan scrub and I absolutely love it. Like your detailing. Inveda has some awesome products... This moisturizer seems great for my dry skin type... Will check it out..